From November 1 – 18, grow with APIENC! 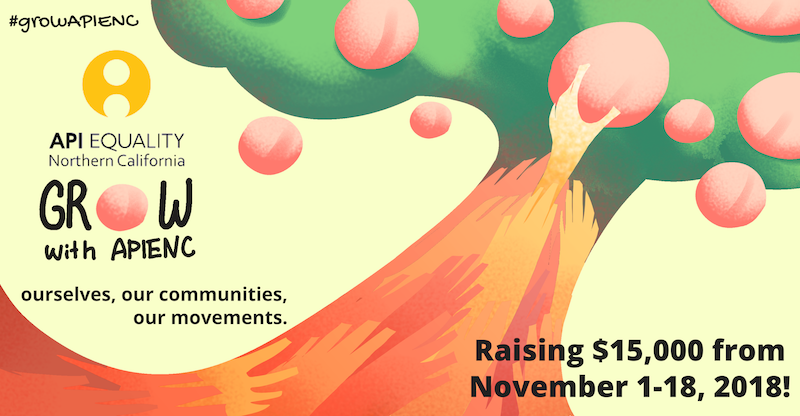 This Fall, we need to raise $15,000 to continue growing our work. From our 9th cohort of Summer Organizers, to our 300+ person Trans March contingent, to the launch of our Dragon Fruit Walking Tour, our work continues to reflect the abundance of our communities. We need YOUR help to make sure it continues. Can you donate $30 today? On September 8th, thousands of people will be in the streets of San Francisco rising for climate justice and pushing elected leaders to be accountable to frontline communities. Will you be one of them? The effects of climate change are already happening around the world. Especially as Asian and Pacific Islander people, we see impacts in our local communities and in our homelands. From wildfires to typhoons to floods to constant extraction, our communities are being displaced and destroyed by climate disasters and the institutions and people that cause them. Enough is enough. Now is the time to act! We are rising for climate justice, for workers rights, for immigrant rights, and for trans liberation. On September 8th, people from around the nation will be taking the streets at the March for Climate, Jobs, and Justice. The March is then followed by several days of activities designed to educate and inspire our communities and to influence the government and industry leaders who will be meeting Sept. 13 – 14 at Moscone Center at the invitation of Gov. Jerry Brown’s office. 1. 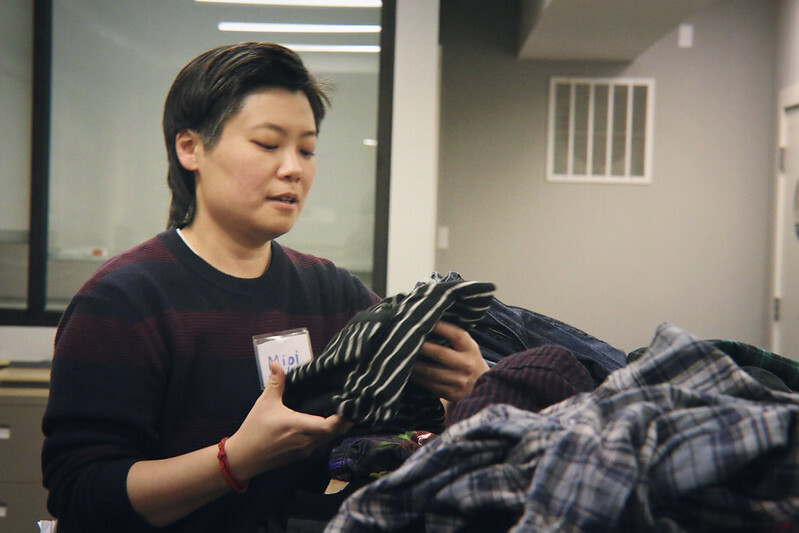 Join our last Think and Take Action Cohort, to meet others and prep for the week of action! Where: Strut, 470 Castro Street (across from Castro Theater). Access: Strut is accessible on the 3rd floor via an ADA elevator. Paint and markers contain strong chemical scents, but the space is ventilated. 3. 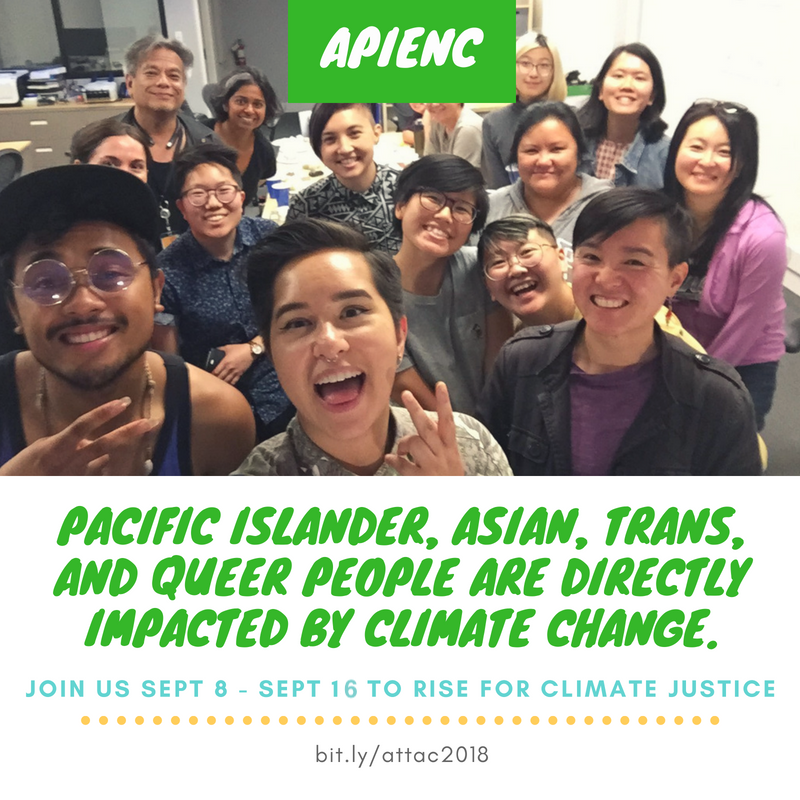 Attend the Rise for Climate Justice March, in the Pacific Islander or Asian contingents*! RSVP at the general link! 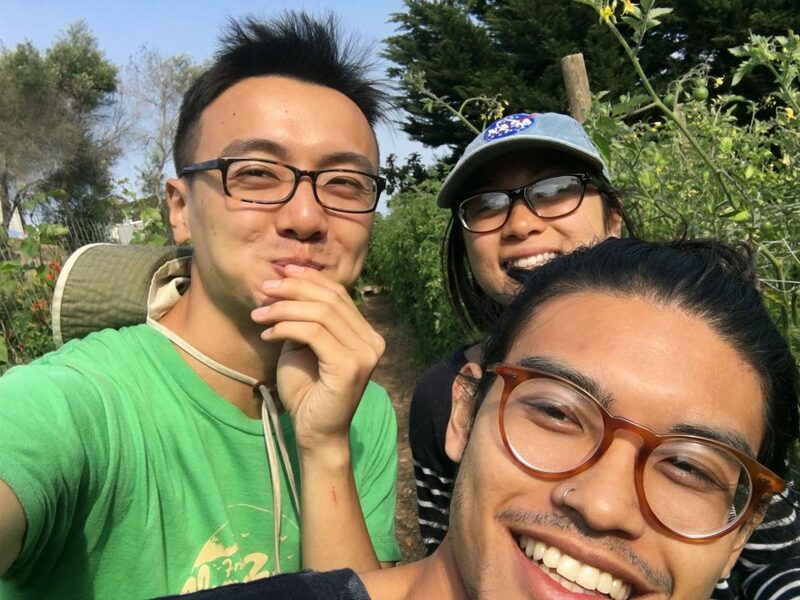 Queers 4 Climate Justice Contingent: Matt Bautista, mattbautista@gmail.com, (415) 712-6229. Meeting at Sue Bierman Park, 216 Drumm Street, 9:30 a.m.
4. Come to Amazing Events, Sept. 9th-16th! Solidarity to Solutions (Sol2Sol) Week: Led by It Takes Roots, Sol2Sol will be taking action to uplift the concerns and solutions presented by frontline communities, including a day of workshops and activities on Tuesday, Sept. 11. 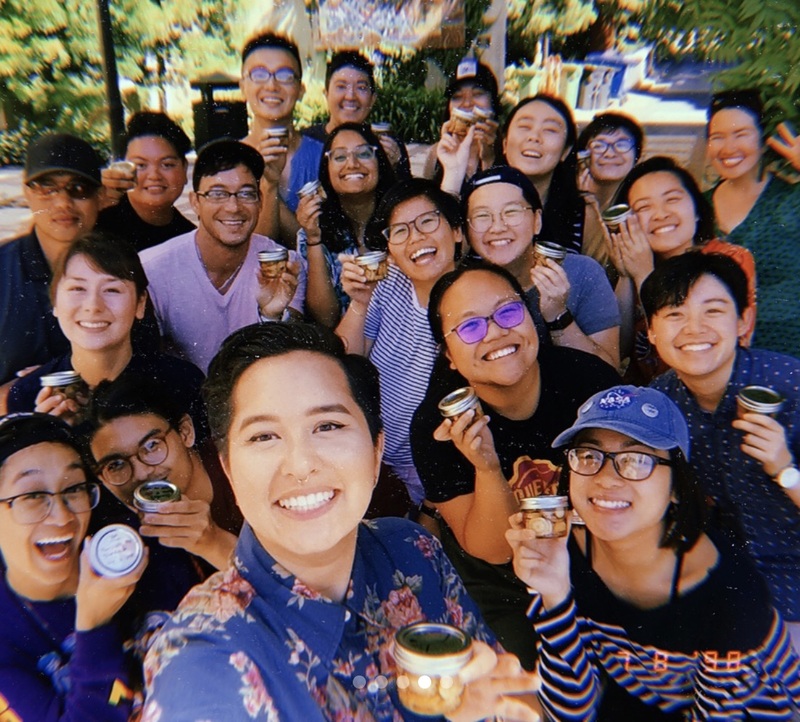 Sustaining All Life (SAL) and United to End Racism (UER): From Sept. 10 – 14, workshops and forums for activists and organizers, sustaining indigenous life, eliminating racism in environmental work, bringing labor and climate justice together, classes, and more. Idle No More: Led by indigenous folks, Idle No More will be leading prayer and direct action to stop capitalist and exploitative economies. 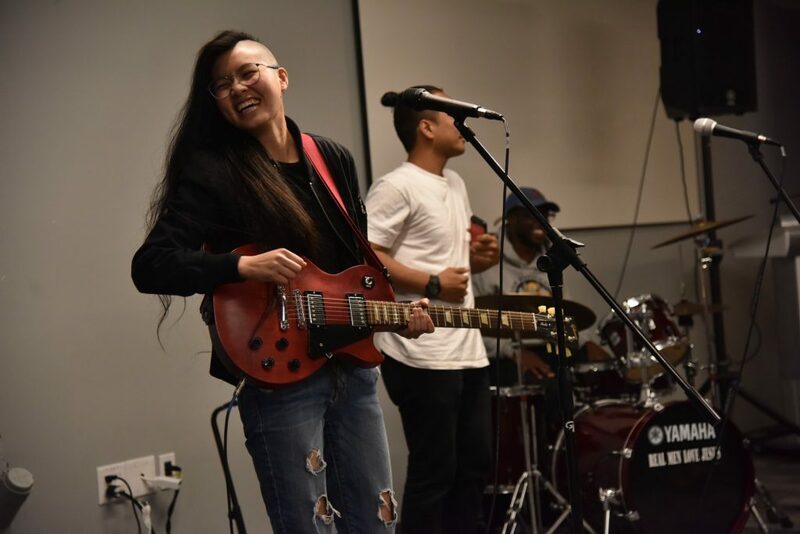 Pacific Islander Events: Sat., Sept. 8, join the Pacific Islander contingent at the March (for Pacific Islanders), and on Wed., Sept. 12, for dinner and poetry night (for everyone). Hiki’analia Canoe: Join APIENC and others to welcome the wind and solar-powered canoe built as part of the Mālama Honua campaign to inspire action toward an environmentally and culturally thriving world. Sat., Sept. 15 presentation (RSVP required! Expected to sell out!) by Master Navigator Nainoa Thompson and Sun., Sept. 16 Arrival Ceremony. Hello everyone! 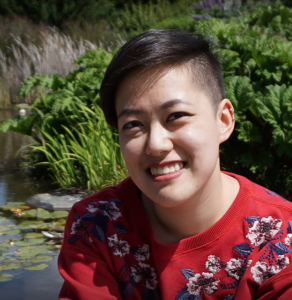 My name is Julie Le and I use they/them pronouns. 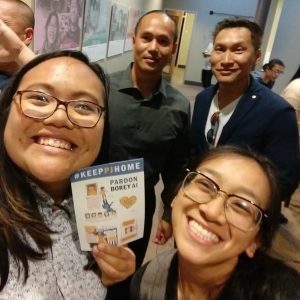 I am a Vietnamese and Southeast Asian American rooted in Oakland to refugees from the Vietnam War. This summer, I am an APIENC summer organizer and I’m work with VietUnity towards coalition building and membership engagement. For me, I’ve always thought of community as being surrounded by people that are willing to be present with me. People who will share space, experiences, vulnerabilities, and hold my voice. For me, community never felt like something tangible in the world, because everything felt so hopeless. 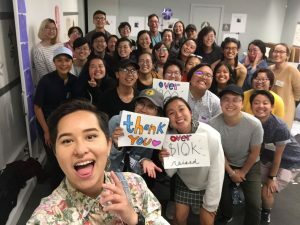 The violence and trauma that has been inflicted onto trans and queer Asian and Pacific Islanders deterred me from understanding and accepting my identities. But that changed when I got the opportunity to take part in Trans March 2018. This year was my first experience with Trans March and Pride itself, and it proved to be an empowering experience. 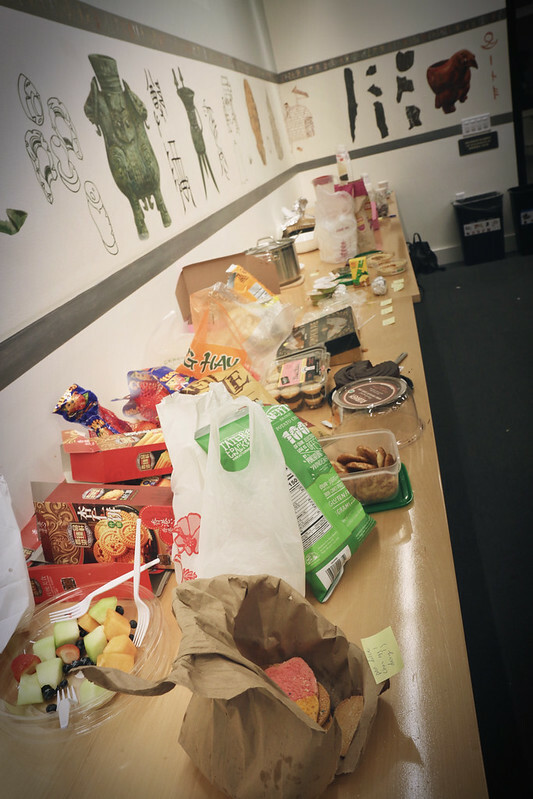 Before, Pride always felt like an event for capitalistic America, and something I did not relate to, or want to take part of. It wasn’t until after I understood the history and origins of the Trans March and Pride that I felt a connection to my queer identity and a connection to the community that gathered to fight for the same cause: trans justice. Image description: 4 individuals carry the APIENC contingent’s banner at Trans March 2018. 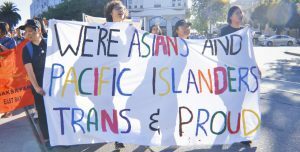 The banner reads, “We’re Asians and Pacific Islanders, Trans and Proud. The most awe-striking moment of the day for me was when everyone was gathered right before the march. Looking around, I saw people that looked like me. 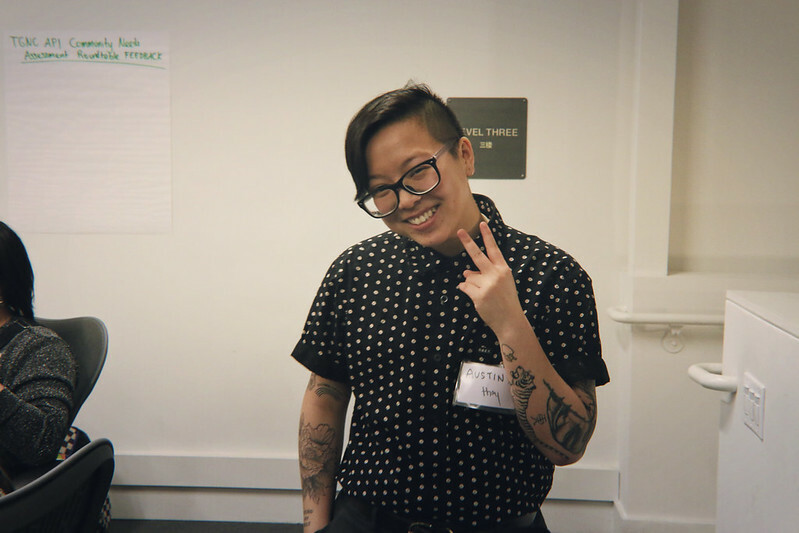 I saw other queer and trans Asians and Pacific Islanders present and ready to make our voices and presence heard. as the people before us had. 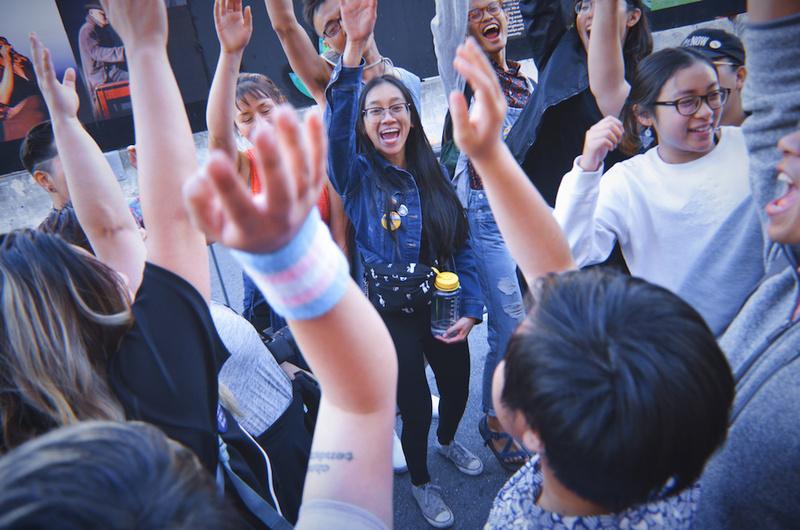 From learning the history of Trans March, to thinking about our own contingent starting with 30 people, to being surrounded by nearly 300, I was incredibly amazed at the power our ancestors have given us. 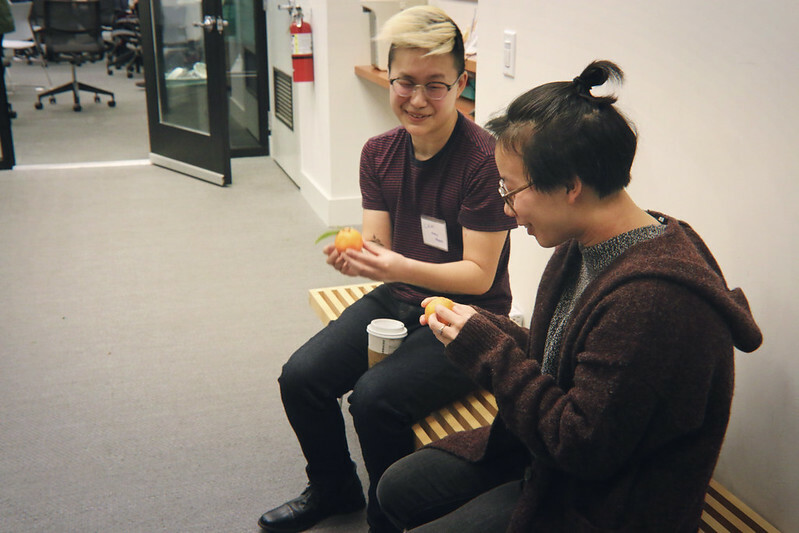 The banner we carried read, “We’re Asians and Pacific Islanders, Trans and Proud,” a throwback to the “We’re Asians, Gay and Proud” banner that dates back to the 1980 issue of Gay Insurgent (click here to watch the story behind the photo!). 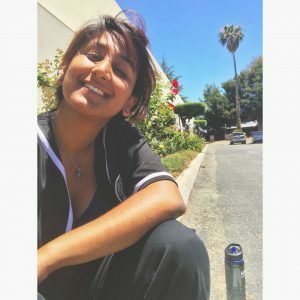 I felt so connected in the ways that people before us, with less resources and access, were able to be resilient to pave the way for us today to exist. Back then, our ancestors were still able to create spaces for themselves through media, presence, community spaces, and so much more, even when there was a higher risk of danger to their lives. Being able to be present at Trans March, I felt connected in the strength and energy that was passed down for our APIENC contingent to be there and take that space. Looking around, I saw folks that were older than me and folks that could’ve been my uncles, aunties, or elders in another space. There we were, together in unison, fighting for Trans and Queer Liberation. It was an honor to be in a space that so many people have fought with their literal lives to create, and to be with so many other people that carry the same passion and resiliency to continue this legacy of resistance. I was incredibly overwhelmed by the amount of people, and the air of resiliency and strength that everyone seemed to carry with them. This empowered me to be present. In that moment, I realized that my existence matters. Our existence matters, and no one can take that away from us. As much as people try to hold us down and keep us from being heard, we resist. We continue to push forward to create a space for us and the people after us. It really meant a lot to me as I was able to share the space of APIENC and Trans March with my younger sibling. I’m the first in my immediate family to explore my queerness in relation to my Vietnamese identity and this has been a difficult journey. In relation to my present day and my history, I was never given the opportunity to explore various issues that are important to my existence. Sharing Trans March with my younger sibling meant a lot to me because I wanted to be able to give them the resources and opportunity to explore their identities and be able to develop their sense of self without restrictions from our parents or without feeling like it was wrong to explore their identity. 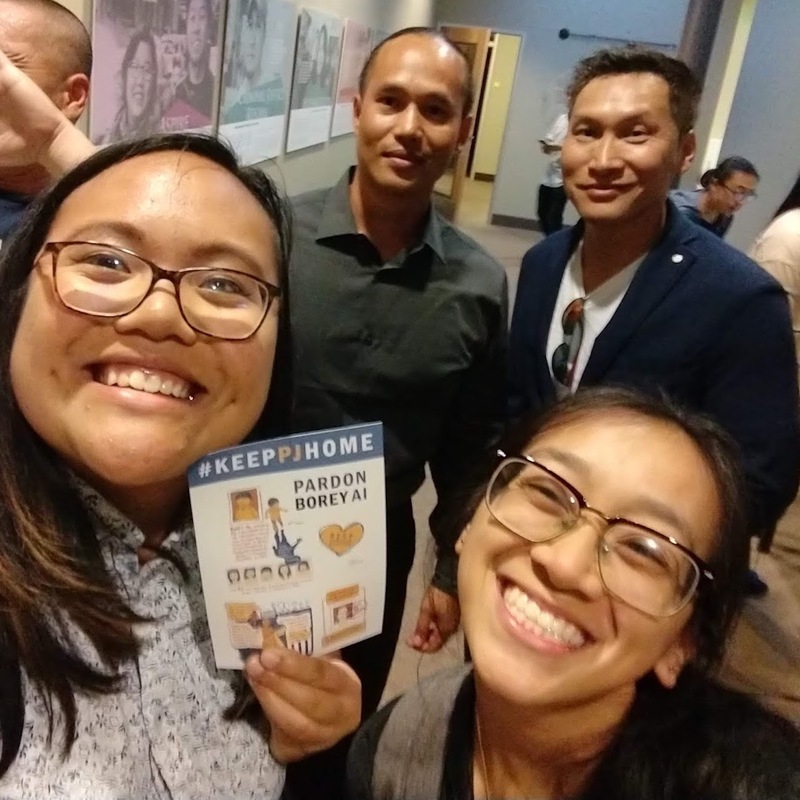 We marched together, holding the Viet Unity banner, and in that moment I felt so powerful and so connected to my sibling in a way I couldn’t have been able to elsewhere. 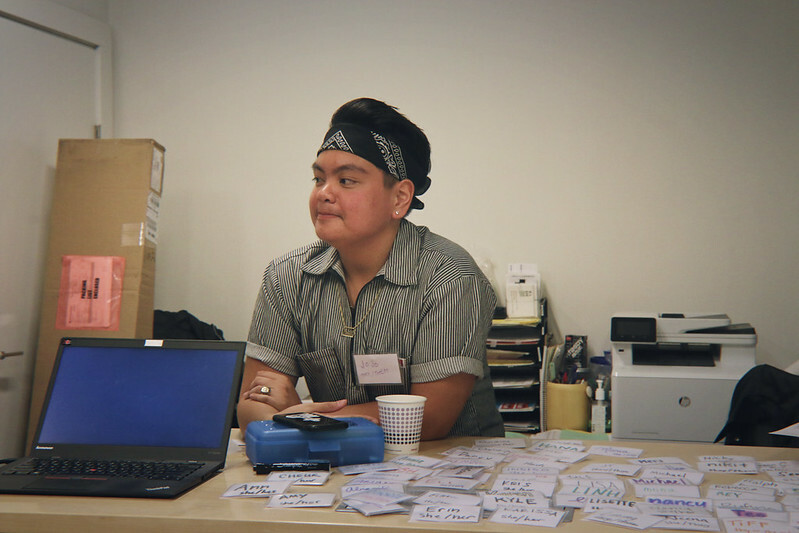 Through Trans March and through my work as an organizer, my sibling and I shared space, vulnerability, and the resources to explore ourselves and our identities together so neither of us would feel alone. For me, Trans March represents not just the present, but reflects an image of the past and an image of the future. The work we are doing to create communities that advocate, educate, and frankly, aggravate to be heard and represented isn’t something newly created. This space is made possible by those that risked so much before us and is something that will continue to be made so those after us won’t have to. 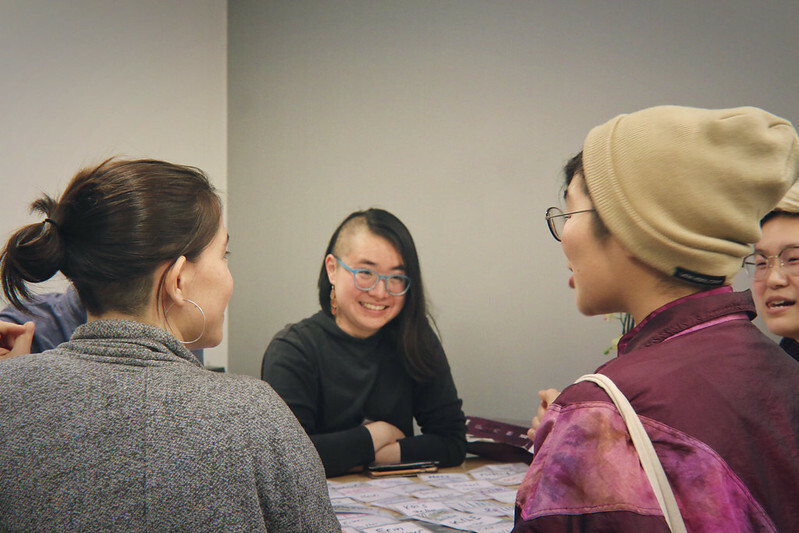 The work we do and the presence we hold is powerful not only in the movement building we do, but in the spaces we create to heal, rest, and build relationships amongst one another. We do this work to build a true community, created by us and for us.